People VOJKAN DIMITRIJEVIC | Brailsford & Dunlavey, Inc.
Vojkan serves as a Senior Advisor for Brailsford and Dunlavey. He brings over 15 years of experience as a strategic planning, financial and operations leader with growth and turnaround organizations in private sector and public higher education. Vojkan is the founding partner of Blackloft Group, an investment and management advisory firm focused on education, healthcare and food sectors. He works closely with management teams to assess, develop and execute business plans to drive growth and optimize resources. Prior to Blackloft, Vojkan was the Chief Financial Officer of a meal delivery company with 5 production and distribution centers nationwide and operations in 44 metropolitan areas. He was instrumental in leading assessment and turnaround of the business, resulting in a sale to a publicly traded food distribution company within a 13 month window. Vojkan also spent over three years as an Assistant Vice President with Florida International University, a public University with over 54,000 students. At FIU, he led finance and strategic planning for 100+ auxiliary units with over $325 million in revenue. He played a key role in assessment and planning of multiple student affairs, business and educational auxiliaries, planning of over $130 million in capital projects, multiple public-private partnerships and launching of FIU Health. 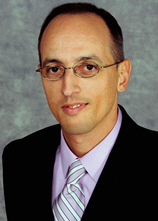 Prior to joining FIU, Vojkan was the Chief Financial Officer for multiple second-stage companies. He acquired and integrated operating businesses, implemented finance and operating systems and processes and secured equity and debt financing to facilitate growth. Vojkan started his career with Discovery Communications, where he grew and managed corporate operations for joint ventures generating over $80 million annually.